Last month I went to one of my favorite restaurants, Cicchetti, and tried their roasted Brussels Sprouts. They were honestly the best Brussels Sprouts I have ever tasted! Like most kids growing up, I hated eating my vegetables. 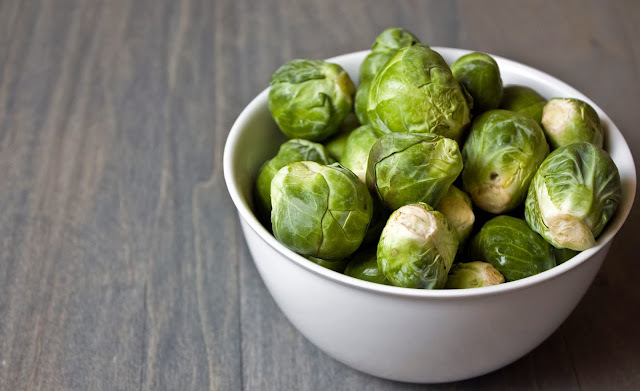 I couldn't stand peas, cabbage, spinach, and especially Brussels Sprouts. As I grew older, I came to appreciate the taste of all the mentioned vegetables. I have tried Brussels Sprouts prepared many different ways, but the Cicchetti Brussels Sprouts were truly delicious. They were crunchy on the outside and covered in just enough molasses to give them great flavor. I tried searching the Internet for a recipe that would come close to Cicchetti's Brussels sprouts, but most didn't seem to hit the mark. This recipe comes the closest, but I'm still going to experiment a bit to try and get the recipe just right. First, clean and cut the Brussels Sprouts. I trim the ends on each sprout and cut them lengthwise down the middle. You can then easily peel off the outer couple of layers of the sprout. 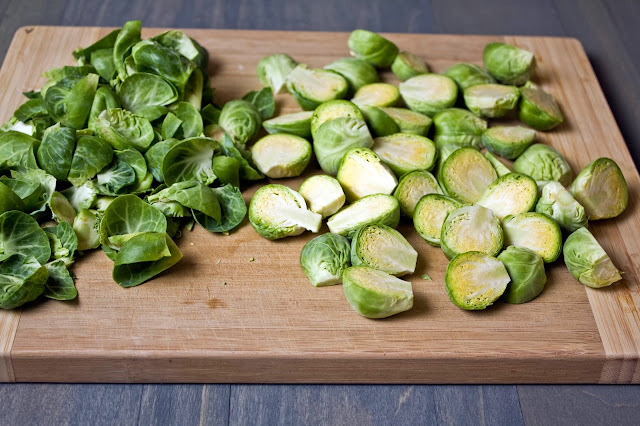 Next, place the cut Brussels Sprouts in a bowl and pour the olive oil over the Brussels Sprouts. Stir the sprouts around to get them evenly coated with the olive oil. Next, place the Brussels Sprouts on a baking tray covered in aluminum foil. 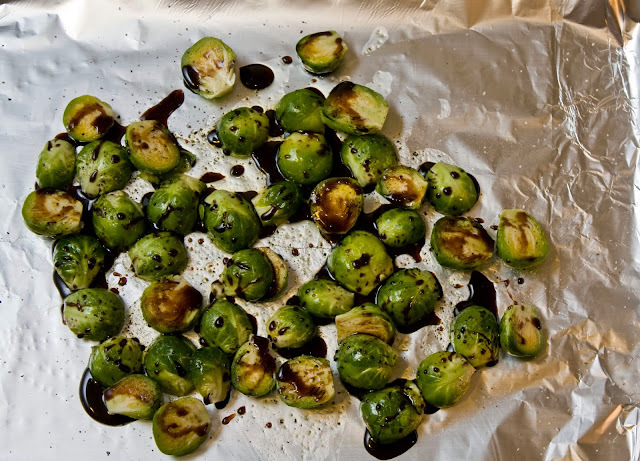 Spread out the sprouts and drizzle them with molasses. Add salt and pepper to your preference. 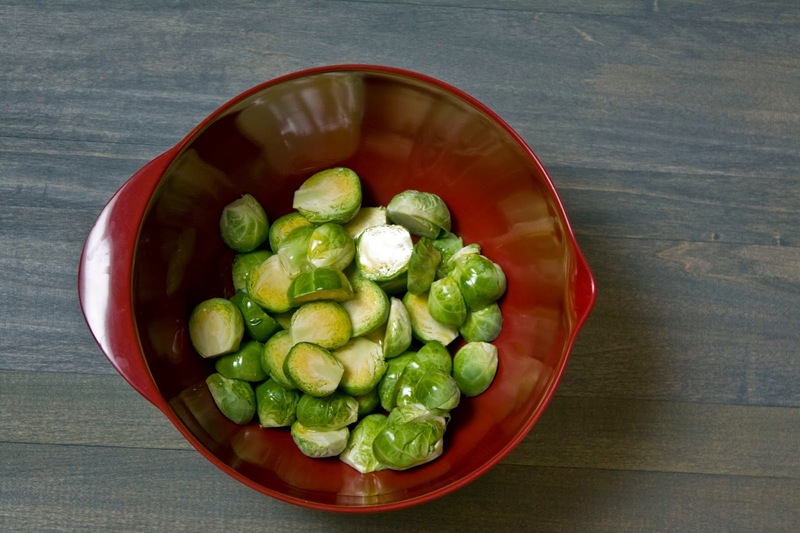 Place the Brussels Sprouts in the preheated oven and bake for 30 minutes. Once done, take out of the oven and serve! Now after making these, there are a few things I will do different my next time around. Instead of drizzling the molasses over the Brussels Sprouts on the baking tray, I will add the molasses to the olive oil, and toss the Brussels Sprouts in the bowl to coat. I will also try this recipe again and add a couple finely chopped cloves of garlic. To make the Brussels Sprouts a bit more crunchy, next time I'm going to broil them for a very short time after they have roasted for 30 minutes. 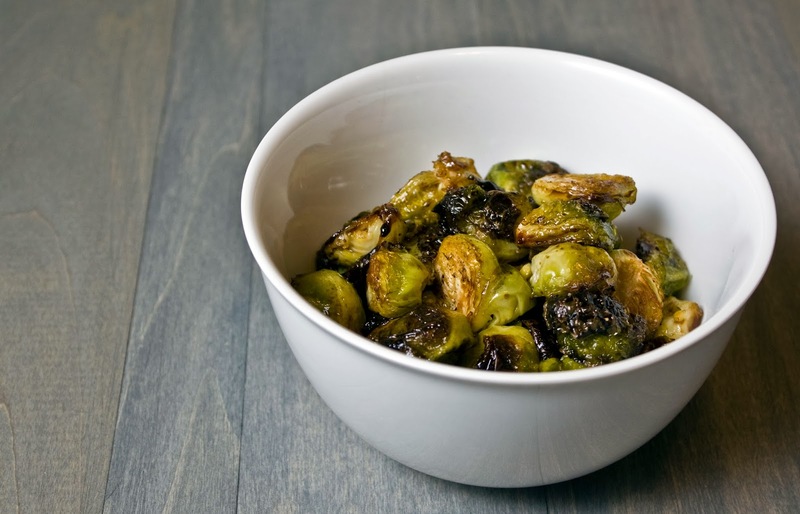 There are of course endless possibilities on how to prepare these Brussels Sprouts. What are some of your favorite recipes?